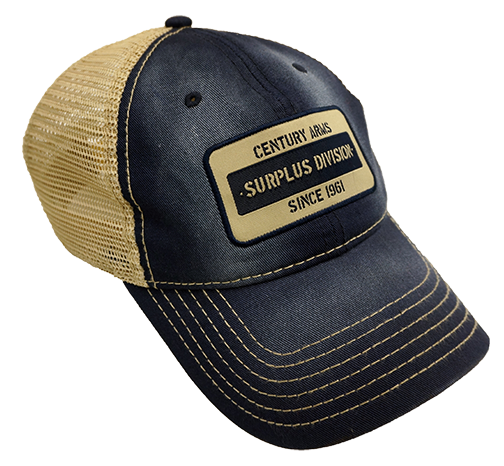 The Surplus Division hat has a vintage, weathered look bringing you back to good ol' days. Features a mesh back giving you the airflow needed to keep you cool on a hot day and the plastic snap-back closure provides a custom fit and feel. Grab this hat and head over to the Surplus Corner where you can find rare, limited quantity items to add to your firearms collection.